Be the first to hear about their new releases and deals. Download the Booksprout app and search for Jess Haines today! 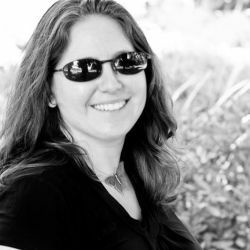 Jess Haines, author of urban fantasy and paranormal romance, is a displaced New Yorker who writes about vampires, werewolves, and other bitey creatures of the night from her home in the Tampa area in Florida. She's best known for the H&W Investigations series (starting with HUNTED BY THE OTHERS). Find out more or join the mailing list at www.jesshaines.com!